A quick view of the most influential metrics in San Marcos. 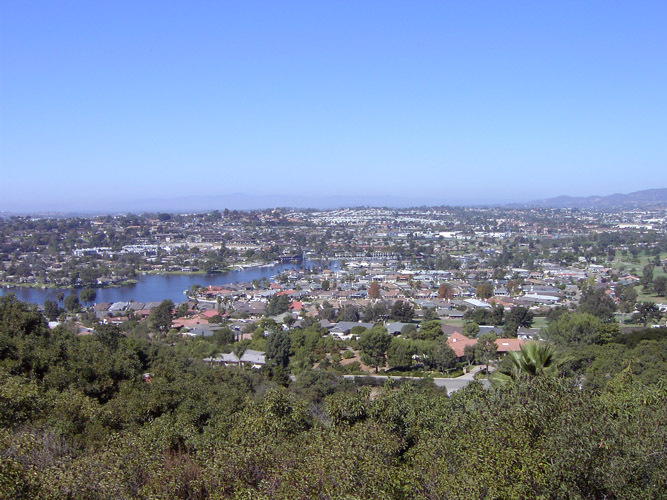 The city of San Marcos, California is located in the North County section of bustling county of San Diego. The city spans 24.39 square miles and is also known by the nickname the "Valley of Discovery." The area has a wonderful and mild Mediterranean climate and a plethora of parks and beautiful open spaces that encourages residents and visitors alike to embrace a healthy outdoor lifestyle. San Marcos has a council-manager form of government with a mayor and four council members. The city is home to Double Peak Park, a gorgeous illuminated cross on a hill above Lake San Marcos, CSU San Marcos, Palomar College and the University of St. Augustine. Like much of southern California, San Marcos was settled by Spaniards who called the area Los Vallecitos de San Marcos, meaning Little Valleys of St. Mark. Later the San Marcos Land Company would buy the land and split it into tracts which drew new settlers to the area. The original site of the town of San Marcos was the present day intersection of Grand Avenue and Rancho Santa Fe Road. By 1896 the community had a post office, blacksmith, railroad depot and a few stores. In 1903, the town shifted a bit with residents moving their homes closer to the railroad tracks in hopes of saving the struggling town. By 1905, the town had recovered from its rough years and had all the modern conveniences including an established telephone service. The city was not incorporated until January of 1963 and was later chartered in July of 1994. According to the United States Census of 2010, San Marcos was home to 83,681 residents up from the figure from 2000 of 54,977 residents. At the 2010 census the population density was figured at 3,435.1 people per square mile. In 2000 the median household income in San Marcos was $45,908 and the median family income was $51,292. The top four employers in the city are Hunter Industries, United Parcel Service, Oncore Manufacturing Services and Walmart. Public education in San Marcos is provided by the San Marcos Unified School District which is made of 19 schools, 11 elementary schools, three middle schools two high schools, one charter school, one independent study high school and one continuing education school. The city has a warm atmosphere, a variety of restaurants along along Old California Restaurant Row, several golf courses including the St. Mark Golf Club and fine resorts and lodgings like The Lake House Resort and the Hampton Inn. Homes for sale in San Marcos from cozy starter homes up through sprawling luxury homes. Rental opportunities include houses, multi-family structures like duplexes as well as apartments both singular and within apartment buildings. Other housing options include town homes and condominiums with a variety of amenities for sale or lease. Local real estate agents are ready, willing and able to help you find the home of your dreams in beautiful, bustling San Marcos. View our selection of available properties in the San Marcos area. Check out the latest demographic information available for San Marcos. Learn more about schools near San Marcos complete with ratings and contact information. Browse through the top rated businesses in the most popular categories San Marcos has to offer.